El recubrimiento de Aluminio-Silicio fue depositado a 540 °C sobre el acero austenítico AISI 316 por deposición química de vapor en lecho fluidizado (CVD-FBR), para luego ser tratado a 750 °C en argón por 2 horas. Esta muestra recubierta fue oxidada en un loop de vapor a 750 °C y presentó la velocidad de corrosión hasta 100 veces menor con respecto al substrato (acero) oxidado bajo las mismas condiciones. Pérez-Muñoz, received the Bs. 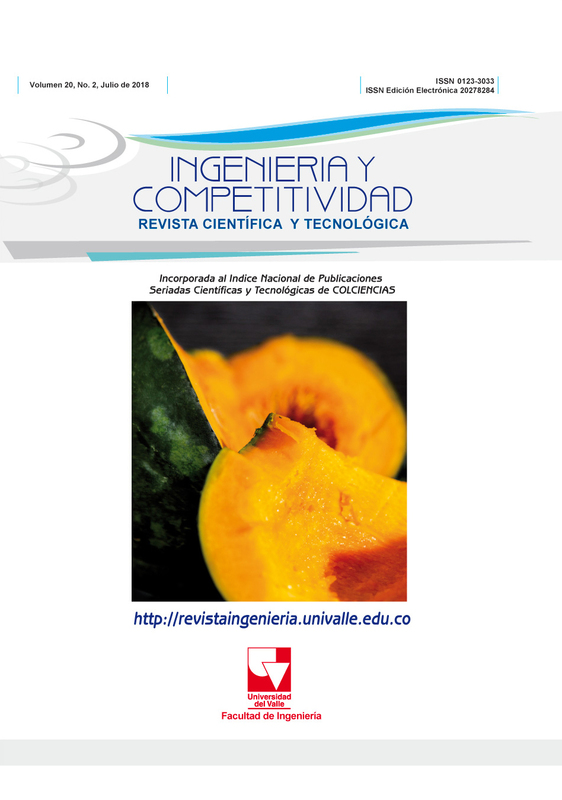 Eng in Mechanical Engineering in 2014 from Universidad Tecnológica de Pereira, candidate to M.Sc. degree in Mechanical Engineering focused on Advanced Materials 2017, he worked in programs and projects of the corrosion, characterization and nanocharacterization areas, with emphasis on coatings, thin films and microscopy for Universidad Tecnológica de Pereira and SENA in the publication of scientific journals. He is currently teacher and researcher of Mechanical Engineering Faculty, Universidad Tecnológica de Pereira, Pereira, Colombia. J.L. Marulanda-Arevalo, received the Bs. Eng Metallurgy Engineering in 1999 from the Universidad Industrial de Santander, the MS degree in Metallurgy Engineering in 2002 from the Universidad Industrial de Santander, and the PhD degree in advanced chemistry in 2012 from the Universidad Complutense de Madrid. From 2003 to 2004, he worked in programs and projects of corrosion area; from 2005 to 2006, he worked in projects of welding area and since 2006 is a Full Professor in materials Department, Facultad de Mecánica, Universidad Tecnologica de Pereira. His research interests include: coatings, characterization, corrosion, welding and tribology.